Computer and analytical skills are required. Provides financial information to management by researching and analyzing accounting data; preparing reports. Prepare, examine, and analyze accounting records, financial statements, and other financial reports to assess accuracy, completeness, and conformance to reporting and procedural standards. Report to management regarding the finances of establishment. Ensure that statements and records comply with laws and regulations. Documents financial transactions by entering account information. Summarizes current financial status by collecting information; preparing balance sheet, profit and loss statement, and other reports. 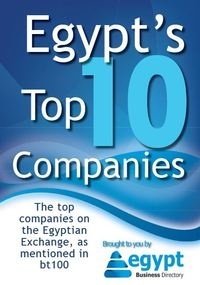 The bt100 list for 2013 ranks Egypt's 100 most valuable companies on the Egyptian Exchange - download the report on the Top 10.